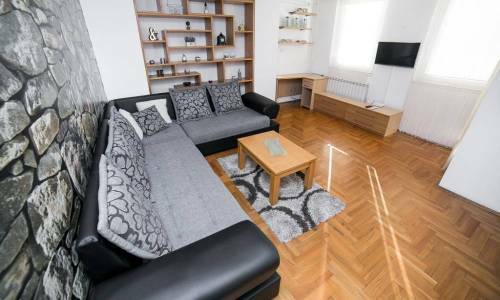 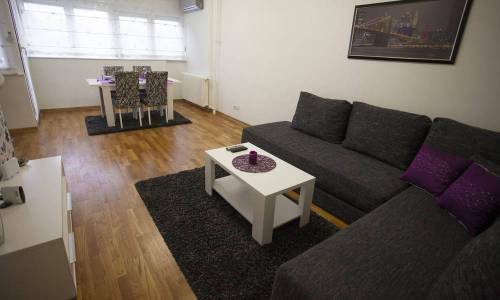 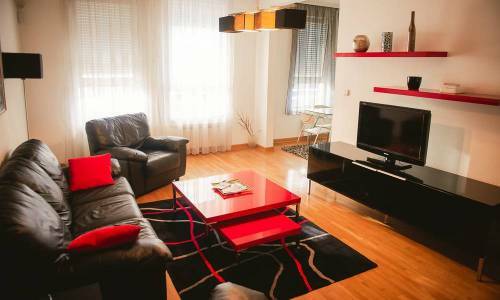 Apartment Kafa is located in New Belgrade, situated at the beginning of Ledine area, next to Grand kafa company. 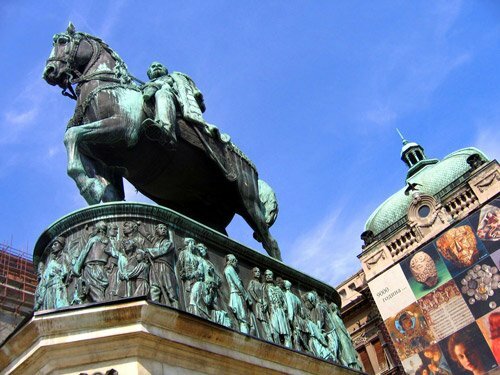 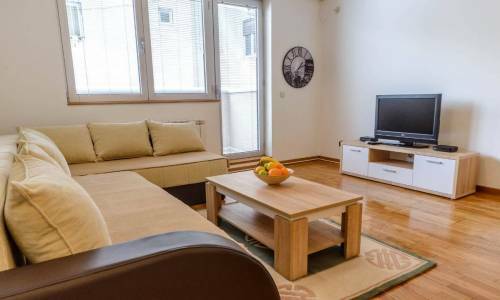 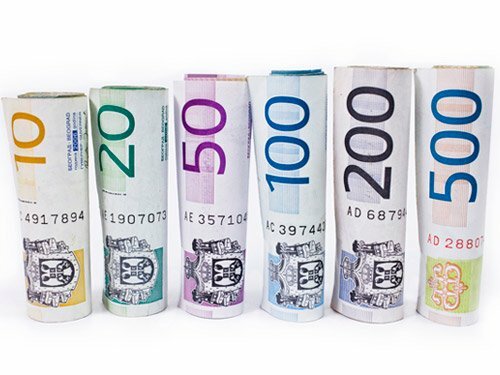 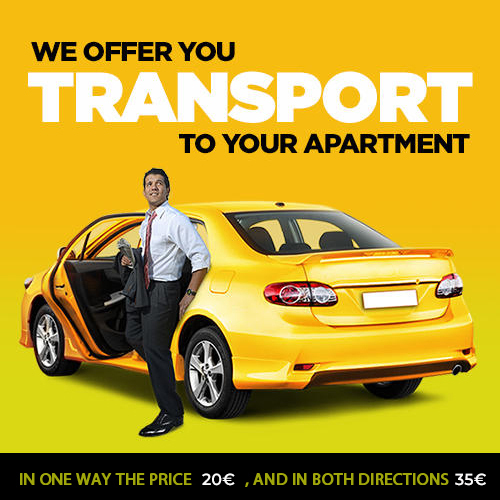 Within minutes you can reach Piramida shopping area, the Sava river promenade, Delta City shopping mall and Bezanijska kosa area, Belgrade blocks and the airport. 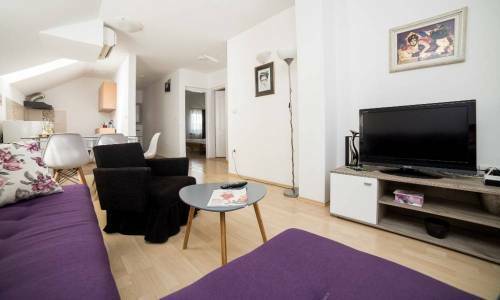 Apartment Kafa is a three-room apartment with an open-plan living room, two bedrooms with two double beds and a fully-equipped bathroom. 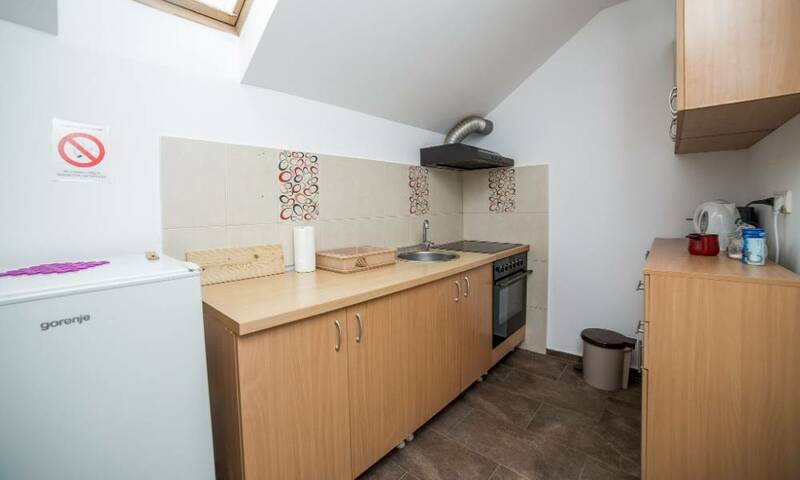 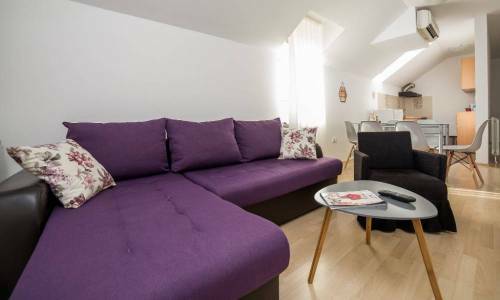 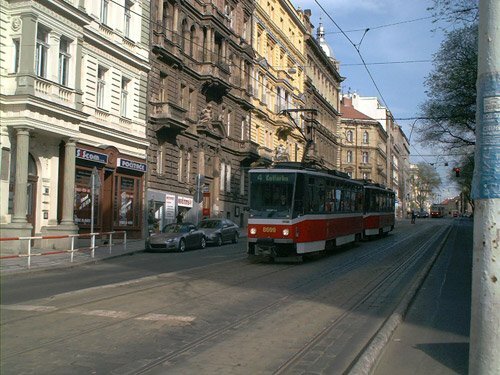 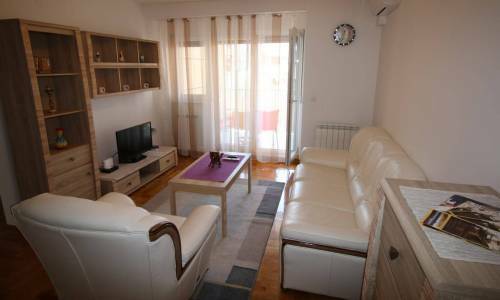 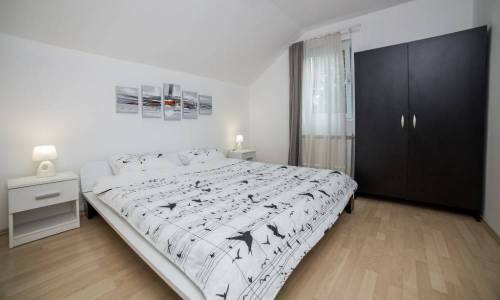 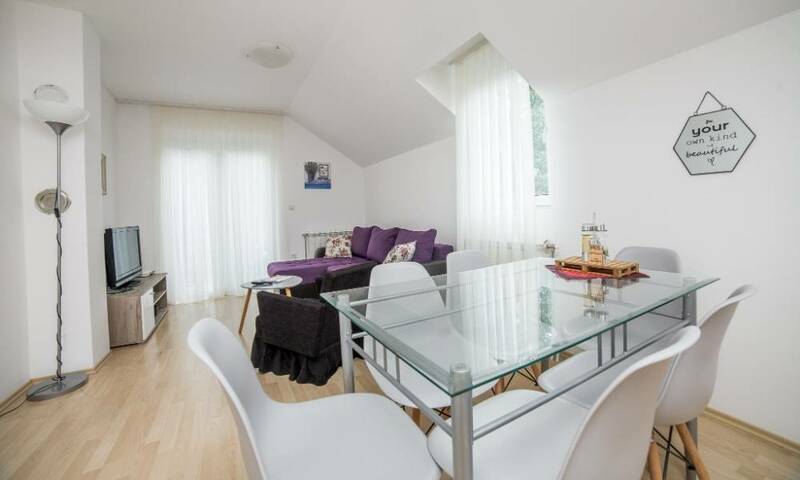 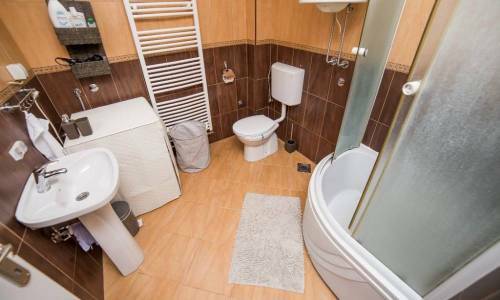 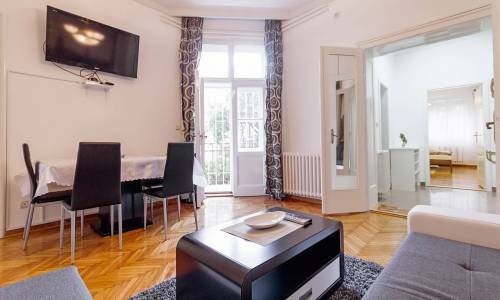 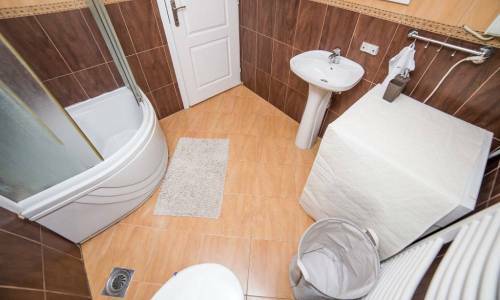 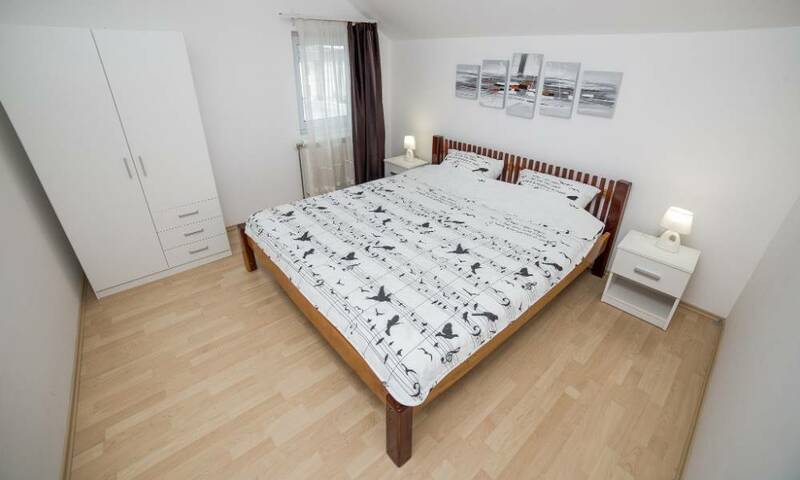 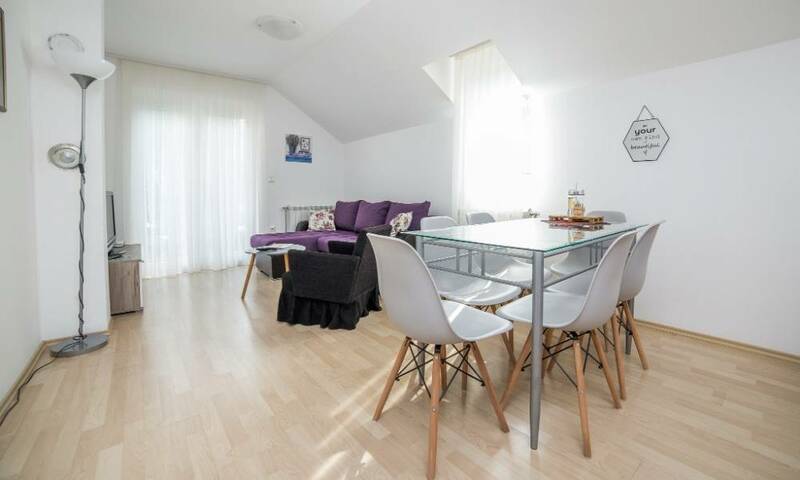 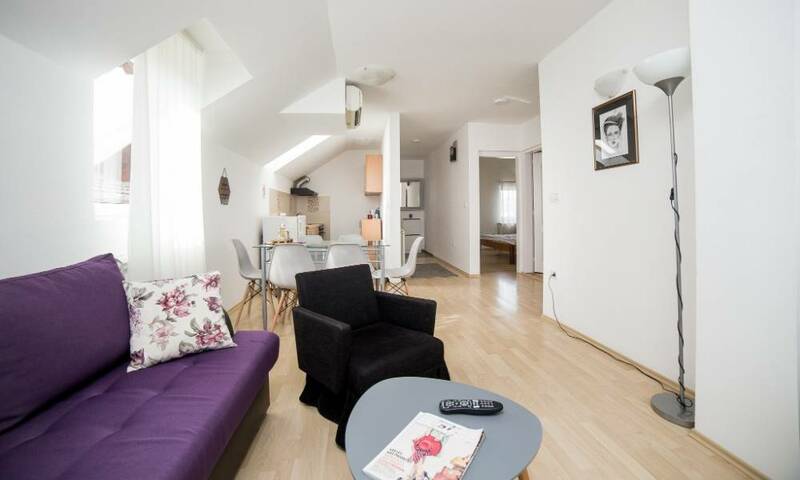 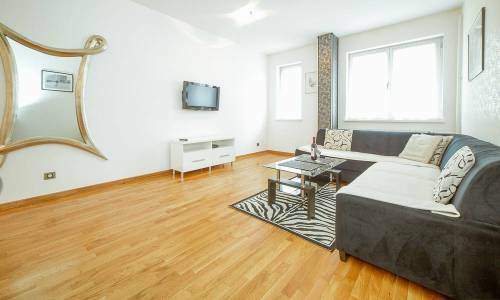 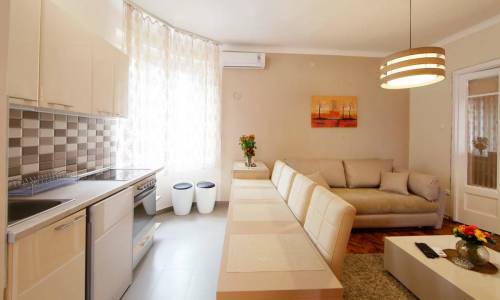 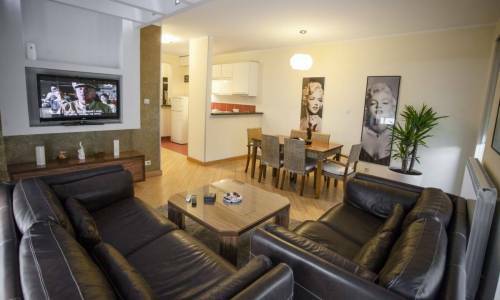 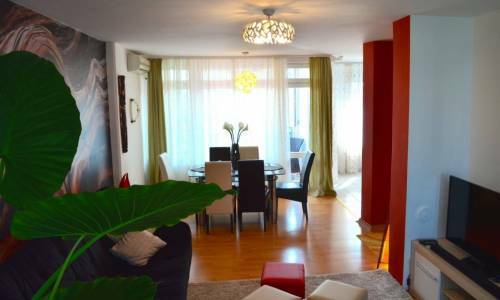 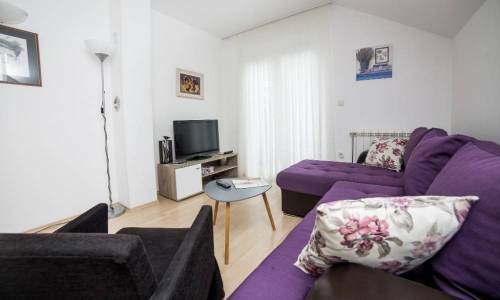 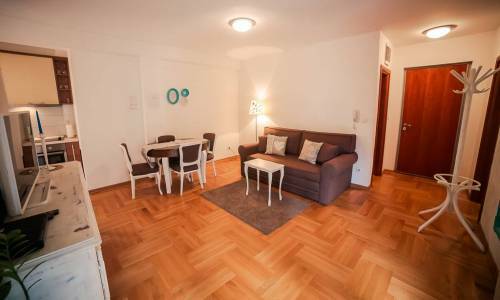 With the size of 70m2, the apartment is very compact and fully furnished. The capacity is 6 persons, with the sleeping arrangement 2+2+2, as there is also a three-seater sofa in the living room which can be folded out into a bed for two. 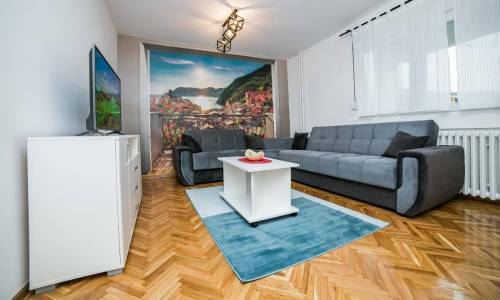 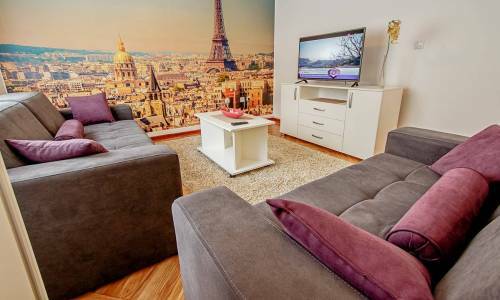 Apartment Kafa is located on the first floor and immediately below, on the ground level, you can find almost identical apartment Grand, so if there is a group of up to 12 guests or two families, these two apartments will be ideal. 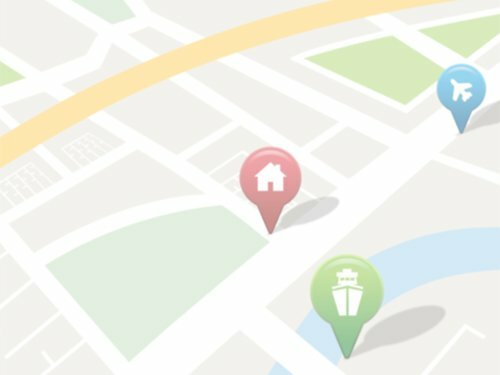 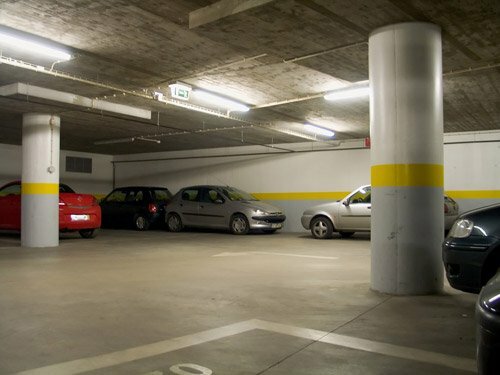 If you're arriving by car, there are 3 parking spots provided, free of charge.